This time we want something cool, hysterical and featuring flowers. Meditating for half an hour. Aueeeeeeeeeeeaaaa, ommmmmmmm, iiiiiiiieeeeeeaaaaaa, ommmmmmm. Done. 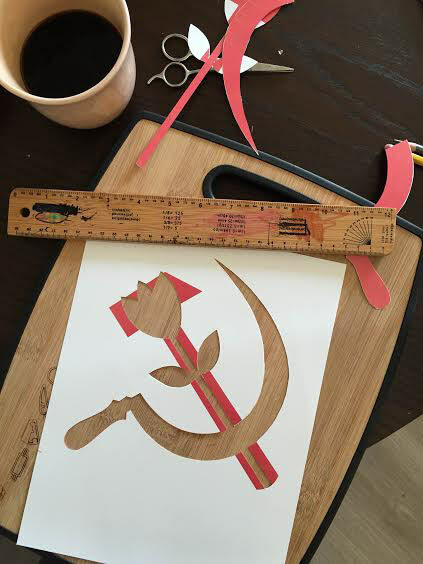 Cutting out a couple of stencils with different leaves, using a kitchen sponge. Sending for cleaning and typesetting.